Rebecca Rutstein, artist and Delta Visiting Chair for Global Understanding at the Willson Center for Humanities and Arts, and Dr. Samantha Joye, professor of marine sciences at UGA, will speak about their deep-sea expedition to Mexico’s Guaymas Basin in the Sea of Cortez. As part of the expedition and artist residency, Rutstein set up her studio on the ship and created new works inspired by the data collected in real time. 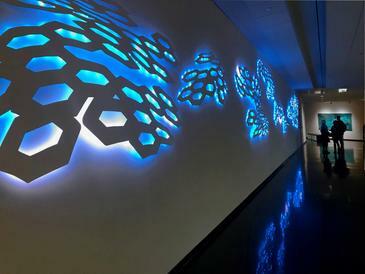 Rutstein’s work is on view at the Georgia Museum of Art in the exhibition “Out of the Darkness.” Presented in collaboration with the Willson Center for Humanities and Arts. Reception at 6 p.m. Talk at 7 p.m.